Conventional chiropractors manipulate the spine as a means of temporarily reducing pain, temporarily increasing your motion, and temporarily reducing muscular spasm. Chiropractors have done well under this model of symptomatic/relief conventional care, and many of them are great at what they do. Our practice focuses on the unique approach of Neuro-Spinal Correction. 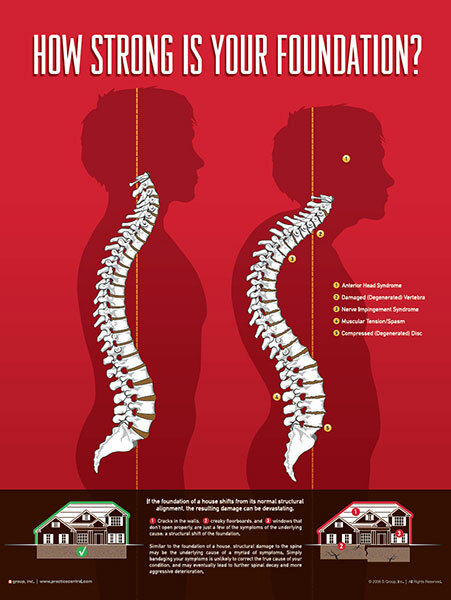 Neuro-Spinal Correction is a unique and specific treatment of the primary condition, the Neuro-Spinal Shift. A Neuro-Spinal Shift occurs when the spine or pelvic bones shift out of positon, interfere with the nerve system and cause dysfunction in the body. In time, this dysfunction caused by the Neuro-Spinal Shift leads to the development of secondary conditions. With Neuro-Spinal Correction we use a gentle and specific approach to remove the Neuro-Spinal Shift, which allows the body to function at an optimal state, thereby improving many Secondary Conditions. Rather than focus on short term fixes that allow the problem to come back over and over, we design a comprehensive program to address these Neuro-Spinal problems so your body can stay strong and resist breakdown. What is a Neuro-Spinal Shift? A Neuro-Spinal Shift is a condition that affects the spine and nervous system. A Neuro-Spinal Shift occurs when the spinal bones are in a state of measured displacement and compromising optimal body function which results in many possible Secondary Conditions. When we think about blood pressure, tyre pressure, how long the drive to work is, we think about what “normal” is. All of these things have a “normal” value assessed to them, and they also have indicators that warn us when something isn’t right. 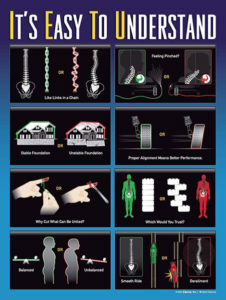 The same is true for the spine. Neuro-Spinal Chiropractors use indictors to know when something is or is not “normal” and a Neuro-Spinal Shift has occurred. 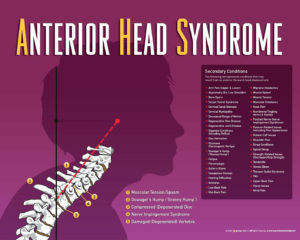 Secondary conditions are the effect of a Neuro-Spinal Shift. 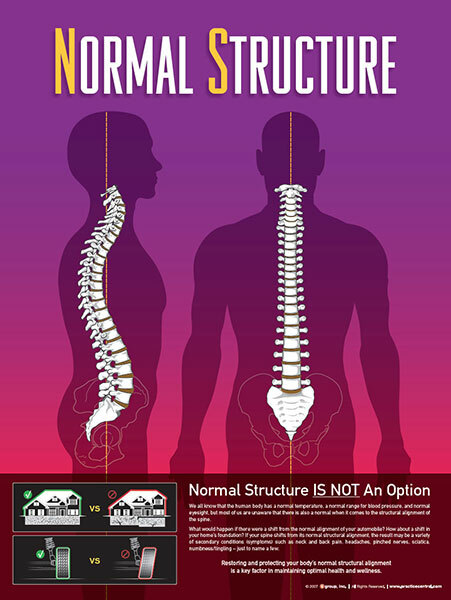 Secondary conditions present when a spinal joint is structurally displaced and as such begins to interfere with the nerve system (aka Neuro-Spinal Shift). When enough interference is present in the nerve system, a secondary condition is expressed. It is important to note that Chiropractic does NOT TREAT any symptom or condition. It is the restoration of normal spinal movement and corresponding nerve system function. By restoring nerve system function, it allows the body to optimally express an innate intelligence that allows healing. Some people have tried many treatments before seeking chiropractic care achieving various outcomes. At Foundation Chiropractic, we make it a priority to discuss what treatment options are available to you before you ever begin care. Every person is unique, so we offer a complimentary phone or Skype consultation with our chiropractor to discuss your individual health needs and circumstances thoroughly. What can I expect from a house call appointment? Home or office visits are what we do. We want to take the stress out of traffic and parking charges, loading the kids up in the car (both there and back! ), and devote more time to getting you the care you deserve without the hassle of waiting rooms. Step 1: If you like what you’ve read so far, get in touch by phone, email or the contact form, here. Step 2: We will arrange an appointment time to Skype or ring you, complimentary. Forms will be emailed to you so the Chiropractor can gain some background information before your appointment. Step 3: If the chiropractor thinks Neuro-Spinal care might be right for your case after speaking with you, she will recommend an examination at your home or office. The examination appointment is a comprehensive and objective look at the state of the spine and nerve system with the goal of finding out if a Neuro-Spinal Shift has occurred. This appointment typically takes 45-60 minutes per person. Clothing you can freely move in is required for this appointment (i.e. gym clothes). Treatment is not typically provided on this visit. Step 4: After the examination, the chiropractor will let you know if beginning Neuro-Spinal correction is appropriate for you. If it is, she will discuss her objective findings and recommend a trial of care. Treatments will commence at this appointment. Step 5: Once the trial of care is discussed, the chiropractor will help schedule in appointments that are suitable times at your home or office. * Please note that while we utilize the most modern equipment and techniques, not every condition can be treated at home. Foundation Chiropractic prefers to settle the cost of our services first. That way, the remainder of the time can be focus on your care. Foundation Chiropractic does not currently accept health insurance for house calls, however, we are happy to provide the necessary paperwork to seek reimbursement from your insurance provider.